Business description from prospectus – Mehai Technology was incorporated in 2013 and in 2014, it commenced manufacture of LED Bulbs and Fixtures. In 2015, it commenced manufacturing of Moon Light Bulbs and tubelights. Subsequently, in 2015 it progressed into assembling of Pendrive and Power Bank. The most recent segment that it has re-entered into is the assembling of Power Bank. Currently, the company sells through a set of dealers / distributors who place their order and after receipt of order they cater to their markets. 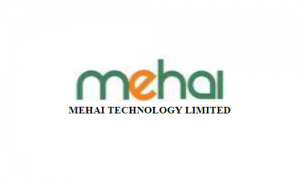 Mehai Technology also sell through online portals viz Flipkart, eBay, Amazon, Shopclues, PayTM etc. Mehai Technology IPO allotment status is now available on Bigshare Services' website. Click on this link to get allotment status.